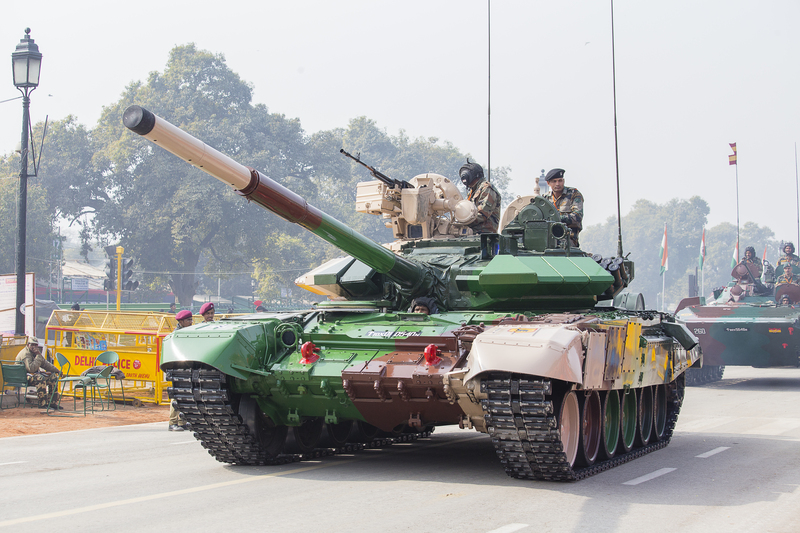 India is striding fast in thought and action to achieve self-reliance in defence procurement. The Defence Ministry envisages a turnover of INR 171,000 crore and achieving INR 35,000 crore in exports in military goods and services by 2025. Towards achieving this mission, the Government of India shall invest INR 70,000 crore in the creation of defence corridors and military platforms. The Defence Procurement Procedure also lays down the framework for a vibrant ecosystem which provides the much-needed boost to the private sector and for the DPSUs and the private sector to jointly power the self-reliance in defence equipment and services. The government in the last five years have relaxed the FDI in defence to 100% (49% automatic and up to 100% through government approval). Aerospace & Defence and Automotive manufacture have much in common ranging from quality requirements, advanced materials, electronics and embedded systems, mechanical components, engines, structures etc. India’s Defence Procurement Procedure released in 2016 (the chapter on Strategic Planning) also acknowledges the lack of a defence base in the private sector and in a way nudges manufacturing sectors with similar processes to drive defence manufacture. Chennai the automotive capital of India and is the hub for automotive manufacture in South Asia. Tamil Nadu’s mature automotive sector is a platform for the Defence and Aerospace equipment manufacture to take off. On January 21, 2019, the Minister of Defence in India inaugurated the Defence Corridor in the south Indian state of Tamil Nadu. INR 3,100 crore is pledged by the DPSUs and the private sector in 5 cities which form the nodes of the “Defence Quadrilateral”. The choice of the nodes, supporting supply chain by the MSMEs and the advantage of the state of Tamil Nadu make the Defence corridor in Tamil Nadu a truly preferred destination for defence and aerospace sector investors. The Government plans to develop Aerospace and Defence clusters in the various nodes. 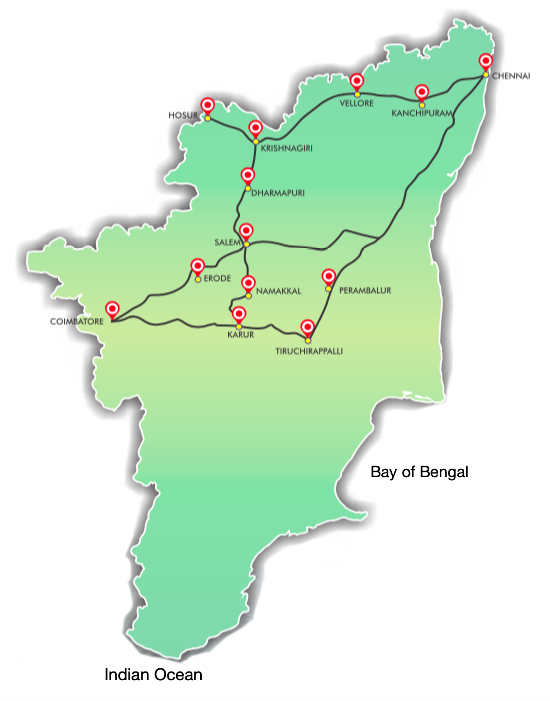 The capital city of the state is also the automobile capital of South Asia. It is home to Armoured Vehicles and Ammunition Depot – AVADI has been a military base since the colonial times. Heavy Vehicles Factory (HVF), EFA-Engine Factory Avadi, Combat Vehicles Research and Development Establishment (CVRDE), Central Vehicle Depot (CVD), The Ordnance Depot [OD], Unfit Vehicles Park [UVP] and the Ordnance Clothing Factory (OCF) exist within the limits of Avadi. A Maintenance Repair Overhauling (MRO) complex is being planned in Chennai which will emerge as the preferred MRO destination. Aerospace Park in Sriperumbudur (Vallam - Vadagal) with an Advanced Computing and Design Engineering Centre (ACDEC) is being set up to form a strong base for supporting large OEMs. This apart from the advantage of the largest port in India which connects with the busiest trade routes in the Indian Ocean. One of Trichy’s unique advantage is the usage of state-of-the-art tools and technology in SMEs that specialize in laser cutting of tungsten, a material which is widely used in the making of ships and submarines. Heavy Alloy Penetrator Project (HAPP) Trichy pioneers in the manufacture of Tungsten and other heavy alloys primarily for Defence applications. Trichy also houses Bharat Heavy Electricals (BHEL). The Ordnance Factory of Trichy (OFT) specializes in the manufacture of rifles, grenades etc. The entrepreneur rich city is a strong base for foundry, machining, tooling and forging. Coimbatore also has a large base for auto-ancillaries manufacturing in the country. It is an education hub with a large number of engineering and Industrial Training Institutes supplying technical talent to the nation. Termed the “Manchester of South India” it pioneered the industrial development in India. Currently, over 14,000 MSMEs support the supply chain across foundry, motor & pumps, auto-components and tooling sectors. Erstwhile Textool, a medium enterprise manufactured sten machine guns post-independence. The Cordite Factory that manufactures short firearms in Ooty is near Coimbatore District. Strategically lies at the heart of the Defence quadrilateral. Equidistant from the four Nodal cities of the Defence corridor. Salem has rich deposits of minerals such as bauxite, magnesite, granite and calcite, and is a hub for making power grids and steel, which form the foundation for the shipping industry. Salem is also a focus state for Power Grid. Power grid set up a 765 kV Transmission from Salem to Madhugiri. Hosur is a prominent city along the Chennai -Bengaluru Industrial Corridor. Heavy Engineering and Automobile majors across the globe have set-up bases. Hosur is a powerhouse in the auto corridor. Often missed out in the defence quadrilateral is the proximity of the corridor with Bangalore, the IT hub of the world. Bangalore is right at the doorstep of Hosur and Defence corridor. Electronic, embedded systems and software controls are critical to Engineering systems and proximity of Bangalore is a bonus to the already well-placed Quadrilateral. The National Council of Applied and Economic Research released State Investment Potential Index - N-SIPI rated Tamil Nadu as the most favourable Indian state (Although Delhi ranked #1 it is considered a Union Territory). Over 120 aerospace manufacturing companies have their presence in the State. More than 700 suppliers to various defence PSUs are already operating in Tamil Nadu. More than 5,000 aerospace engineers graduate every year from Tamil Nadu. Technicians and engineers from Tamil Nadu are employed in large number in aerospace companies in India and across the globe. With the Aerospace and Defence policy released a month ago, Tamil Nadu is a launch pad for Defence and Aerospace companies to reach for the skies and beyond.